There are so many things to like about the movie The King’s Speech: the story, the actors, the set design…The set design. If a wall is stuck in your mind, that has to mean something, right? 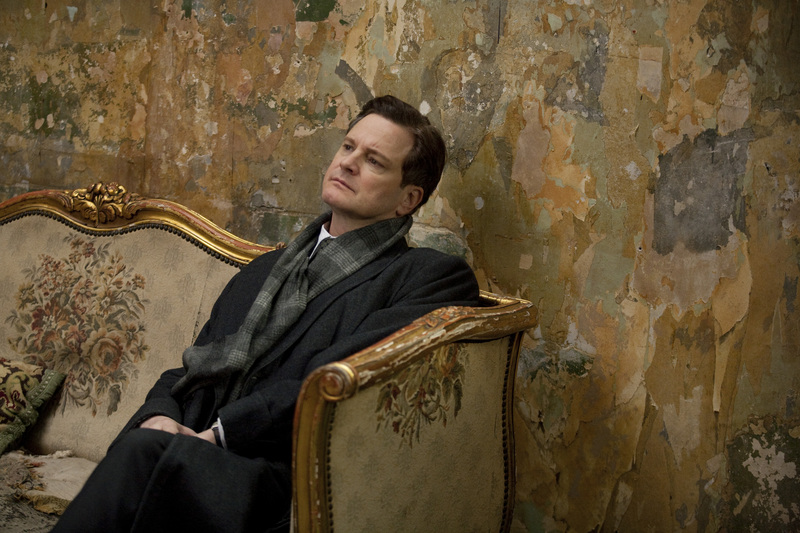 And it’s not because Colin Firth spends a huge amount of time in front of it. Maybe quite some time, but definitely not the whole movie. So it really is the nature of this wall that makes it unforgettable. It has seen a lot of different wallpapers, probably even paint colours as well, and the plastering has slowly, but determinedly chipped away. When you put it in words, it doesn’t sound like something one would wish for. When you see it with your own eyes, though, it is everything one could possibly want. Oh yes, this set is beautiful. The little cushion, the antique sofa it all blends in so perfectly with the wall. Ah..and your last two sentences. You describe this so perfectly…Poetry about a wall! Thank you so much for the lovely comment, Audrey!